One of the most popular theories and commonly taught explanations for why Christmas is on: Dec. 25th: is because the early church placed Christian holidays at times of Roman celebration to co-opt the local pagan festivals. Christians placed Christmas on: Dec. 25th: to co-opt Saturnalia, the mid-winter festival, or possibly the Festival of the Unconquered Sun — Sol Invictus. The theory went that Christians could get the heathen to convert by co-opting their own holidays. In Egypt, less than 300 years after Christ’s death, some Christians celebrated his birth in the spring. As the Biblical Archeology Society has noted, the earliest references to Christmas come at about 200 A.D., at a time Christians were not incorporating other religious traditions into their own. By 300 A.D., many Christians were celebrating his birth around: Dec. 25th. Within 100 years, Christmas was on the calendar record. Christians looked to December because the early church was far more interested in Jesus’s death. His death and resurrection is what matters to the Gospel, and that was the date the early church focused on. “Around 200 A.D., Tertullian of Carthage reported the calculation that the 14th of Nisan in the year Jesus died was the equivalent to: March 25: in the Roman calendar,” said Andrew McGowan last year at the Biblical Archaeology Society. That would be the day of Crucifixion. The math from there is rather simple. Nine months later would be: Dec. 25. Early church history held as fact that the prophets and martyrs of the church were conceived on the day they died. So if Christ died onMarch 25, it was also the anniversary of his conception. Six months after Zacharias left the temple would be March as Mary’s time of conception. Fast forward nine months and again we find ourselves in December. With the very earliest Church fathers settling on: March 25th: as Christ’s death and believing fully that Christ’s death would occur on the anniversary of his conception, the early church reinforced its belief well before there is any written accusation or evidence of the church incorporating Saturnalia or Sol Invictus into its celebrations. It is important to note, however, that most scholars reject setting Christ’s birth to Zacharias’s temple service because of problems related to really knowing when he was there. But there are three final points. One can look at all of this and conclude the church fathers got it wrong. But the real question is whether they themselves thought they got it wrong. They were pretty sure they were right. The earliest Christians refused to celebrate birthdays, but by 300 A.D., there was growing evidence the Church had noted Christ’s birthday around: December 25th. Second, some of the earliest traditions of the early Church held that Christ was born on what would be a: Wednesday. This year, we too will celebrate Christ’s birth on a: Wednesday. Finally, the date of Christ’s birth is not important. What is important is that he is. 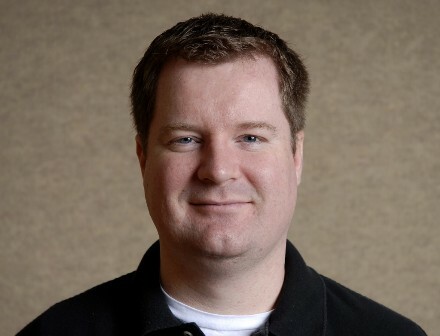 Erick Erickson is the Editor-in-Chief of RedState.com.